Hogan Flying Service is located on the West end of the Butler county Regional Airport, KHAO. 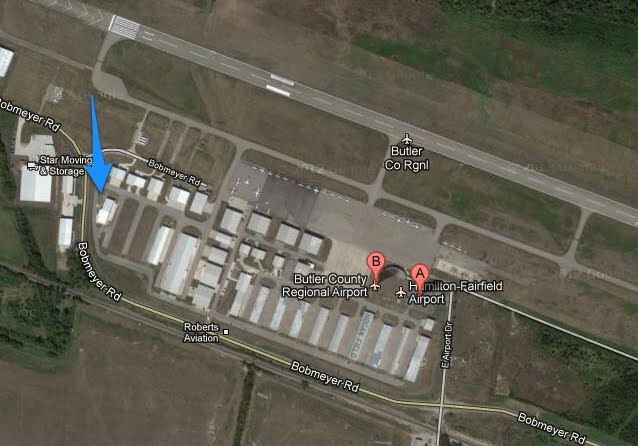 Enter the Butler County Regional Airport (Hogan Field) off Bobmeyer Road at the rear hanger entrance. Go through the gate and take an immediate left and follow the service road to the Hogan Flying Service Hanger.